color red, green, blue, grey etc. 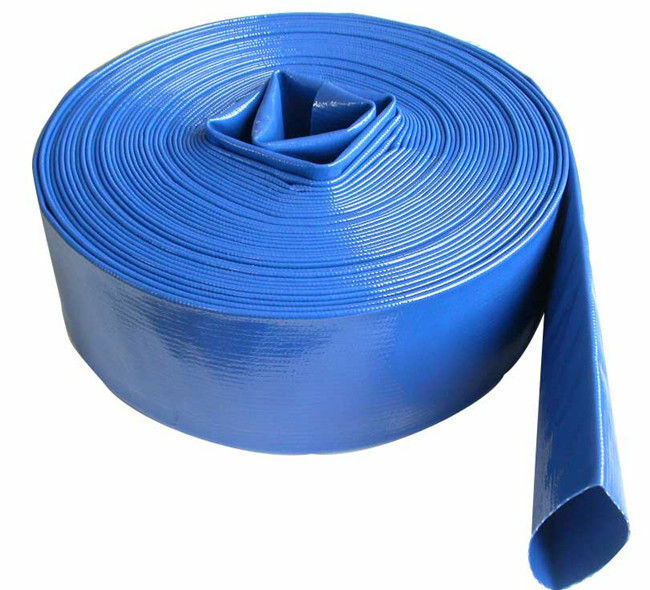 Standard duty PVC layflat water hose for backwash pump and dewatering which is also called layflat water hose, pool and spa backwash hose, pump water hose; dewatering hose etc. Which is designed for low pressure liquid delivery. This layflat water hose is mainly used in low pressure liquid delivery. Delivery of general liquids, including clean water, trash water, mild chemicals, industry waste water etc, an ideal layflat hose for construction dewatering, road building, industrial backwash, water pump industries and so on. 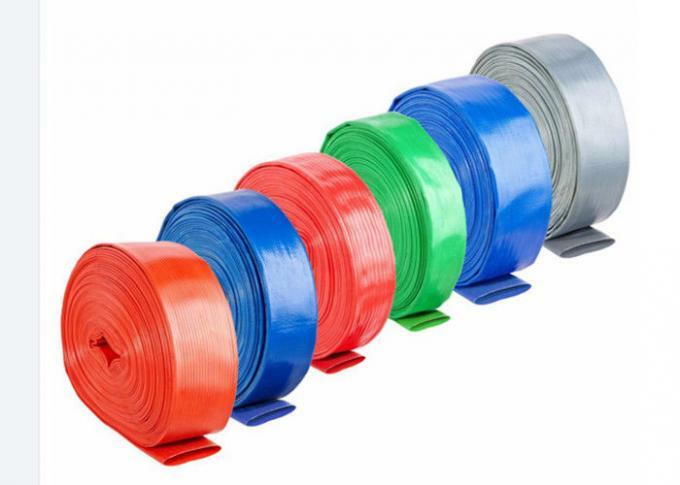 This hose is made of flexible & durable PVC and high tensile polyester yarn reinforcement (3-ply high tensile polyester yarns, one longitudinal ply and two spiral plies), once-molded by extrude plastic. The Standard Duty PVC Layflat Hose is small thickness, light weight, high pressure resistance, anti-chemical, anti-aging, anti-uv, abrasion resistant, non-water absorbing, mildew proofing, different colors available, easy to compact and lays flat for storage, easily fix with couplings and clamps, assemblies or cut length available.